Trails Carolina is one of the best wilderness programs in the country. With a multidisciplinary staff who have decades of experience, as well as a comprehensive therapeutic program, Trails Carolina has helped hundreds of struggling teens find success and go on to living rich, fulfilling lives. Trails Carolina offers a clinically intensive wilderness program combined with accredited academics so teens don’t get left behind at school. Trails Carolina utilizes a family-based approach to therapy, including the family in every step of the healing process. Trails Family Institute, the family therapy program within Trails Carolina, offers families the chance to reconnect and rebuild strong relationships. Another exciting component of Trails Carolina that sets it apart from other wilderness programs is its breathtaking setting. Located in the beautiful Blue Ridge Mountains in Western North Carolina, the campus of Trails Carolina is unparalleled in beauty. 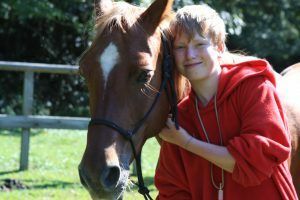 With a base camp where teens can carry on their academics, along with equine therapy and other experiential activities, Trails Carolina has a lot to offer struggling teens and their families. 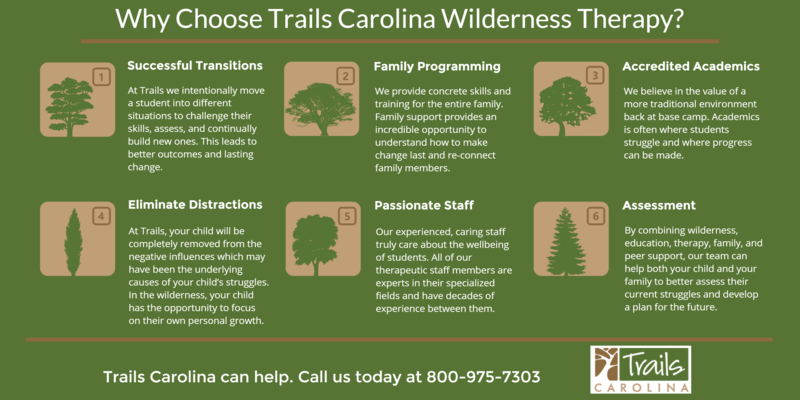 Why Choose Trails Carolina over other wilderness programs? Experienced professionals: Each therapy session your child attends in wilderness programs is led by trained professionals who truly care about each and every student. 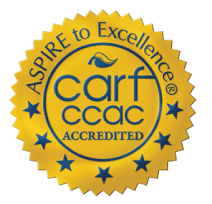 Many of these professionals specialize in helping a specific mental health struggle such as trauma, substance use, or defiance. Focus on transitions: Throughout the program, students frequently transition between settings. They rotate through wilderness settings, back to base camp. By practicing transitions, students have an easier time transitioning back into a “real world” environment after their time at Trails. Personalized therapeutic programming: We utilize programming specifically designed for each individual student. The therapeutic plan for each student is geared towards what mental health struggles they are working through, their age, gender, and emotional well being. Community atmosphere: At Trails, teens build close bonds with their peers and therapists that help them form relationships after they leave the wilderness. The close knit environment of wilderness programs allows for top notch safety, as well. Teens work together with their peers to build fires, pitch tents, and make meals. The beauty of Mother Nature: Teens will spend an extended period of time exploring the outdoors. This is not an opportunity many teens have on a regular basis. Being outside has healing properties in itself! Wilderness programs may encompass a variety of therapeutic approaches aimed specifically at helping teens struggling with mental health struggles develop coping skills to utilize in everyday life. Many wilderness programs are inpatient, meaning that the teen stays at the program for an extended period of time. For parents struggling to find a solution for their teen’s emotional or behavioral struggles, wilderness programs provide therapeutic help that can transform your child’s life forever. The purpose behind wilderness programs is a complete removal from the outside world. Teens are not distracted by technology, their friends, or other elements of their life at home. In the wild, teens can learn more about themselves than they ever could back in the “real world”. Some wilderness programs incorporate a variety of proven therapeutic methods to help teens achieve success. These may include: wilderness therapy, adventure therapy, equine therapy, experiential therapy, and family therapy. If you’re seeking help for a teen struggling with an emotional or behavioral issue, consider wilderness programs as a therapeutic option for your child. Trails Carolina offers fun and educational experiences for struggling teens. These may include: mountain biking, hiking, backpacking, mountain climbing, and canoeing. These experiences help students learn helpful life lessons including responsibility, teamwork, accountability, and endurance. The skills learned during these unforgettable experiences can be transferred into everyday life once a student graduates from the program. What teens do we help at Trails Carolina? If your teen is struggling with any of the above, they might be a good fit for Trails Carolina. One article in Forbes describes the journey of Leigh Horowitz, the daughter of a wealthy businessman, through a wilderness program. Before going through wilderness therapy, Horowitz was struggling with substance use and defiance. She was flunking out of high school and couldn’t catch a break. Her father sent her to a wilderness program and ever since she has found success. She went off to college and has started a career. Another teen who benefitted from wilderness programs was Liam Neeson’s son, Michael. After his mother passed away from a tragic ski accident, Michael coped with her loss by getting into drugs and falling into a deep depression. After wilderness therapy, he was able to pick up the pieces of his life and have a successful career. 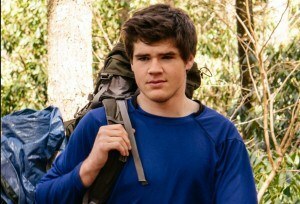 He has taken his experiences in wilderness therapy and used them to find happiness in his life. One study found that intensive therapeutic programming in wilderness programs is effective in helping delinquent youth find better alternatives to their emotional and behavioral challenges. This study also found that relatively intense activities such as mountain biking, rock climbing, and canoeing can also have a positive effect on overall behaviors. An article from the American Psychological Association’s Monitor on Psychology discusses the benefits of wilderness programs that offer family therapy. Overall, teens who participated in wilderness therapy found great improvements in overall emotional and behavioral health. The article discusses the combination of being with trained professionals who know how to help teens heal and the beautiful outdoors as a “winning one”.